Rain. Thunder possible. High 52F. Winds NNW at 15 to 25 mph. 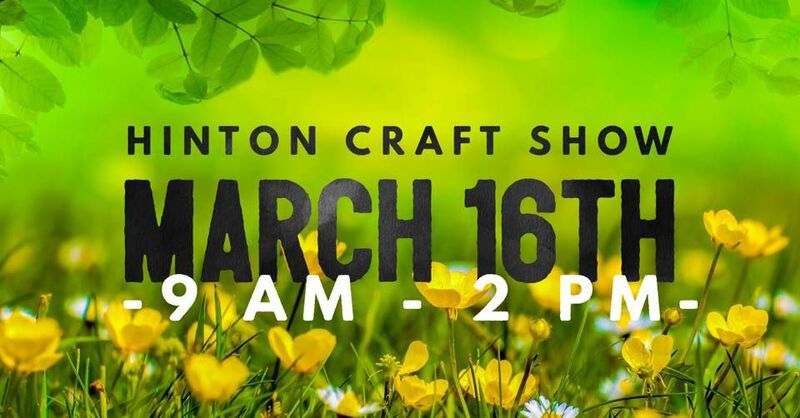 Chance of rain 90%..
Come to the Hinton Community Center on Saturday, March 16th from 9am-2pm to shop til you drop and get registered to win of the many door prizes! This FREE event will have 45+ of your favorite vendors and crafters including LulaRoe, Scentsy, Thirty-One Gifts, Lipsense, Monat, Pampered Chef, Perfectly Posh, Organo, 3 Nelly Sprouts, ViBella Jewelry, Chiropractic of Iowa, Bath Fitters, and many more! Hinton’s FFA will be serving breakfast & lunch items along with other goodies throughout the day. Come on out and help support their Chapter!